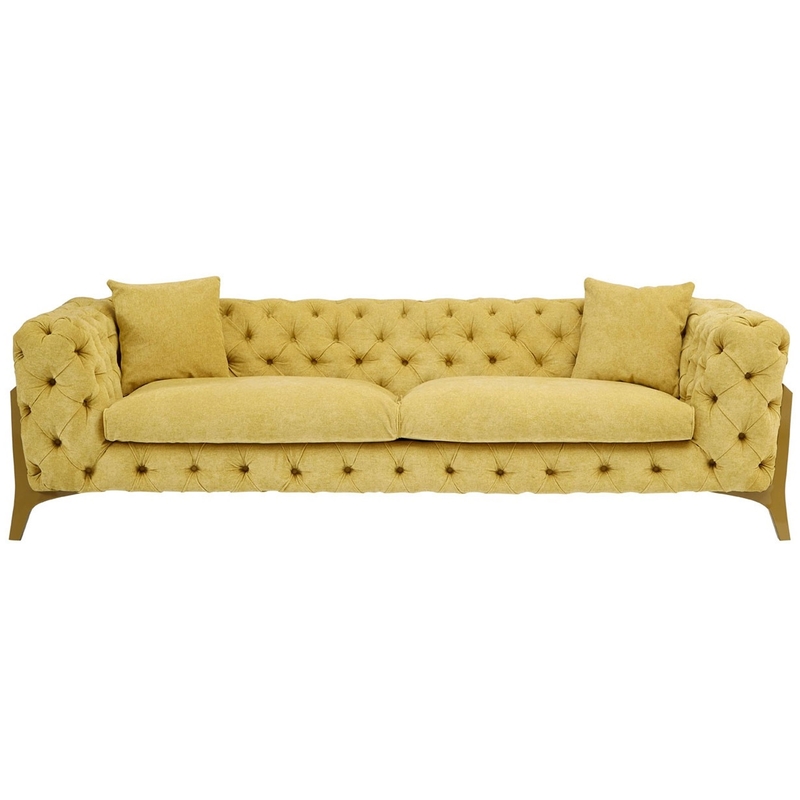 We are proud to introduce this beautiful Esme 3 Seater Sofa. It has a fantastic design which looks very unique and very modern. The Esme 3 Seater Sofa has a beautiful yellow colour which not only makes this sofa look contemporary, but also very homely and inviting.